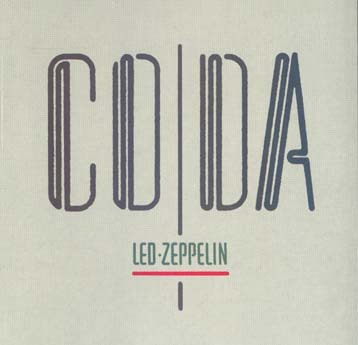 *Only included on the version of Coda in the Complete Studio Recordings boxed set. Bet you my baby's coming back. And we gonna raise a family. Until the brink of day. You just set my soul on fire. Let me tell you you don't know what you do to me. Woman you know you're my one desire. Who worked the rivers run. But he wouldn't care to eat. Always knew what's going on. Lazing out in the noonday sun." One of many games she played. She couldn't keep her dresses down. That Tom caught Ellie May. And stopped all the running around. Gotta die for what you've done. And railroad song is he could be. Trying hard to change but can't let go. Everyday is the same as the one before. I'm walking the floor over you. Is it long to wait? Is it much too late? Sometimes it's hard when you wanted the pain. Every tear that falls the smile is gone. Can you stand alone? Do you want [????]? Can you step aside does it matter now? Every love that's shared [????] away. Can't hide in the light for the heart [????]. She was smiling a tear and her waters fall. I ain't been saving this thing for you honey. Don't want you ringin my bell. It's too late for you to be my honey. It's my own true love. It's my own true love, my own. Don't want you wastin my time. Tired of you doin the things that you do. It's no use standin in line. Follow the line you better follow queue. But I know that's just. But I know I'm still at home. Because you know what I said. Come on baby give me some. Come back and be my sweet little girl. It makes me feel so sick. And I don't care what they do. Sweet child I gotta make you mine. You're the only thing that I want, you. I gotta do it really gonna try. I'll take you as far. I'm gonna prove it Darlene. I'm gonna make you my girl. I'm gonna send ya in another world. I've been savin all my money. I've been workin all day long. I gotta give it all back to you. Yes I love you, yes I do. I've been trying to get home to you. And I love you Darlene. Yes I love you I do. I�m saving it all for you. Until it bursts inside of you. Any second now will do. Anything that you want to do. All you got to do is move. It's a thing you gotta do. Chill bumps come up on you. Just like fooling after school. When you've worn away the cure. Feel a change is good for you. All alone to cry every night. Oooh, I want you to come back home, yeah. Sweet little girl, been away so long. Who gonna feel all of my all of my all of my cares. Just about as nice as she could be, oh. But she turned around and did the same thing again to me, oh. Oh, baby, baby, please come home, home yeah. I know, been away so long. I want you to please come home, oh. I gonna crawl right back to you woman. 'Till you're here by my side. 'Cause I keep thinkin about all the good times. Keep thinkin' about it I wanna make you mine. Oh, babe, babe, babe, please come home, yeah. I want you to come back runnin home to me woman. I want you to think about when we walked through the trees together. You know we had such a real good time. Do you feel the brown leaf against your face you oughta sing and shout. Let me be her kid. If you don't keep it hid." If it's on the riverside. A brownskin but she ain't no plum. Till the juice runs down my leg. I fall right out of bed. I'm gonna take my rider by my side. Gotta lien on my soul. My she looks so fine. I thrill with her every touch. See the menfolk standing in line. With my little girl looks so fine. Looking for my street corner girl. Singing drinking and remembering the times. She followed around all the time. Gonna pack my bags and move on my way. Sharing what I thought was mine.